Powerfully captivating author and presenter, Robert Farago has made regular appearances on Independant (UK-ITV) Televisions 'This Morning' programme where he has proven the power of hypnosis to millions. What could you do if you had confidence? What couldn't you do? Confidence gives you the mindset you need to face all the challenges of your life. Confidence is the key to your success. So buy this recording to gain total unshakeable confidence. Let the words and music take you down into a deep hypnotic trance. Your mind will become sensitive and receptive to all the positive thoughts, images and feelings you need to see yourself as you really are. Because you really are a strong, capable, determined and creative person. You really do need to change the way you think about yourself. And when you do, you will feel calm, confident and relaxed in every situation. No matter what. 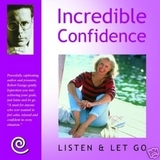 Once you listen to this recording, your subconscious mind is programmed to automatically respond to the specific Confidence melody played throughout this programme. Running Time: (42:02). Single CD. So many challenges. So many responsibilities. So little time. Time to relax. Time to take a break from everything and everyone. Give yourself time. Buy this recording and you will relax. The deep relaxation methods you'll experience are based on over ten years spent hypnotising some of the most stressed people on the planet. The techniques include progressive relaxation, creative visualisation, rational emotional therapy and good old-fashioned positive thinking. So listen and let go. When you come back from the endless peace of deep hypnosis, you will feel wonderfully calm. Refreshed. Relaxed. Ready. Ready to face all of the challenges of your life. Ready to do what you want to do. Once you have listened to this recording, your subconscious mind is programmed to automatically respond to the specific Stress Busters melody played throughout this programme. Running Time: (41:52). Single CD. Diets don't work. Obviously. Been there, done that, bought the T-shirt, ate the rice cakes. So what can you do to lose weight? Buy this recording. Because my hypnosis changes the way you think, feel and behave. The hypnosis on this recording represents over ten years of clinical success helping people like you. It combines deep relaxation with positive visualisation and direct suggestion. It's an assault on your subconscious that soothes, inspires and commands you to do what you want to do. So you will think positively about losing weight. Feel comfortable about your body. And eat small amounts of healthy food throughout the day. So you will lose weight. Easily, effortlessly and automatically. Once you've listened to this recording, your subconscious mind is programmed to automatically respond to the specific Lose Weight Now melody played throughout this programme. Running Time: (41:32). Single CD. Do you sometimes feel like you're adrift in a sea of troubles? Your inner mind is a perfect, peaceful island. Forget your troubles. Let them crash harmlessly onto the shore. Buy this recording & turn inwards. Shelter in the safety of total relaxation. Experience the deep hypnotic reprogramming I've developed over years of practice with thousands of people. People like you, looking for the same thing you instinctively know you need: relief, comfort, joy. It's true. My hypnosis can help you find the calm and endless peace that lies deep within you. Someday, the storms of your life will pass. Meanwhile, take the time you need to rest, safe, calm and peaceful on the island of your inner mind. Once you've listened to this recording, your subconscious mind is programmed to automatically respond to the specific Calm and Peaceful Mind melody played throughout this programme. Running Time: (40:38). Single CD. Lifts, flying, spiders, small spaces, public speaking. Whatever you fear, you know it doesn't make sense. And yet, there it is, holding you back. How can you rid yourself of this deep-rooted, unnecessary and unwanted fear? Simple. Buy this CD! This hypnosis goes straight to the place where your fear lives: deep inside your inner mind. The hypnosis then combines deep relaxation with therapeutic intervention, helping you to see things in their proper perspective. Then I will blast away the invisible barriers that stop you from living a normal life. Breaking the chains of fear. Forever. 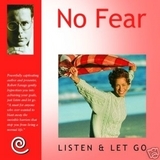 Once you have listened to this recording, your subconscious mind is programmed to automatically respond to the specific No Fear melody played throughout this programme. Running Time: (40:32). Single CD. 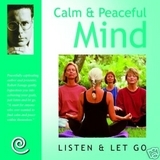 Please browse our fully updated library of professionally produced Hypnosis Downloads and Hypnosis Scripts for advanced self hypnosis audio mp3s and indirect hypnotherapy scripts relating to: robert farago hypnosis cds, calm and peaceful mind, incredible confidence, listen and let go, lose weight now, no fear, robert farago author, robert farago cd, robert farago hypnosis, robert farago hypnotist, stress busters. 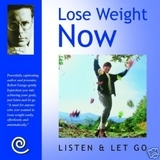 Please browse our Hypnosis Online Store for books, cds, downloads, dvds, ebooks, mp3s, scripts, and videos relating to: robert farago hypnosis cds, calm and peaceful mind, incredible confidence, listen and let go, lose weight now, no fear, robert farago author, robert farago cd, robert farago hypnosis, robert farago hypnotist, stress busters. Please visit Hypnotic-world.co.uk for advanced self hypnosis audio mp3s, hypnosis courses, and hypnosis pdf relating to: robert farago hypnosis cds, calm and peaceful mind, incredible confidence, listen and let go, lose weight now, no fear, robert farago author, robert farago cd, robert farago hypnosis, robert farago hypnotist, stress busters. Please visit Hypnotic-world.com for more information relating to: robert farago hypnosis cds, calm and peaceful mind, incredible confidence, listen and let go, lose weight now, no fear, robert farago author, robert farago cd, robert farago hypnosis, robert farago hypnotist, stress busters.